When you order, let us know where you intend to share the materials, and we’ll contact you within 60 days of shipping to see how it went. 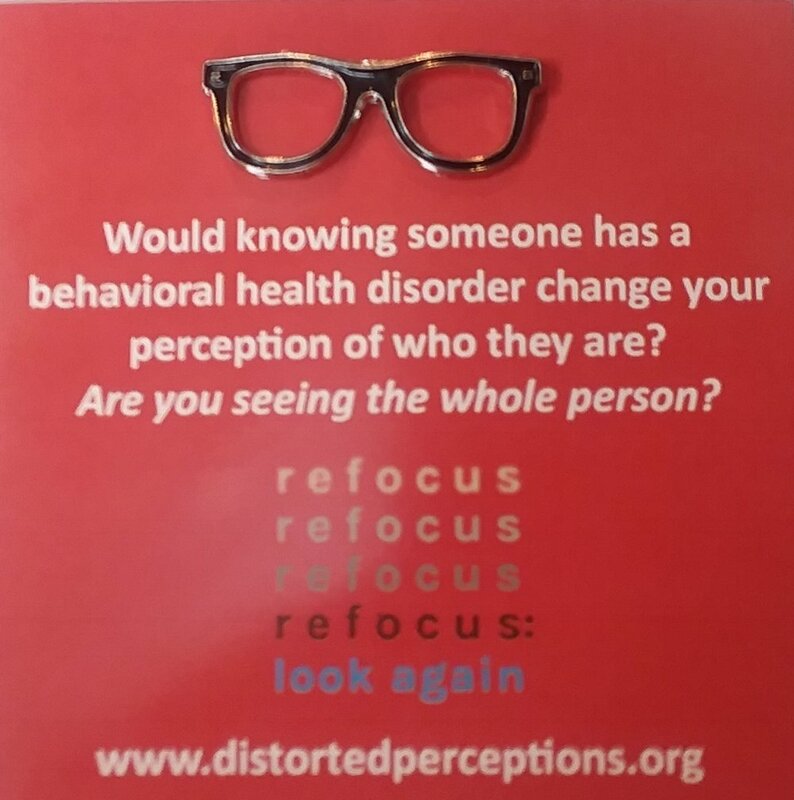 As a thank you, we’ll send you an official Distorted Perceptions t-shirt and eyeglasses lapel pin! Just fill out the form below to get your materials. Help us spread the word and fight the stigma associated with mental illness and addictions. Fill out the form to request materials.